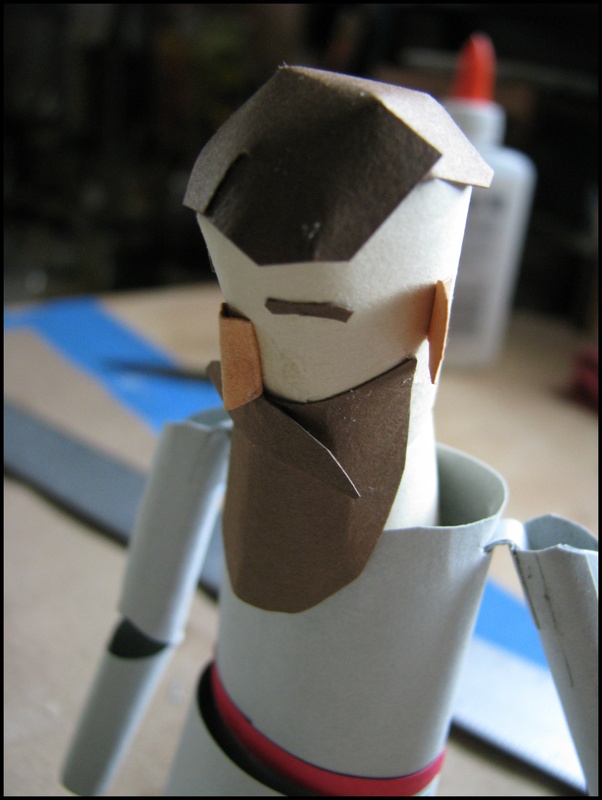 In preparation for a short workshop I will be doing on paper puppet construction in July, I have been partially building a few paper folk. 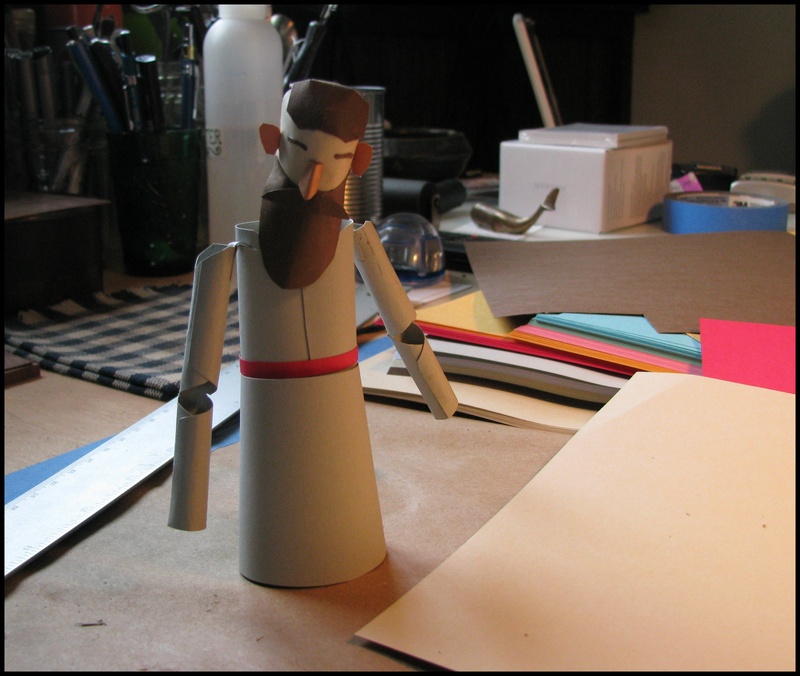 The paper man, possibly a Russian Jonah. Quite nice. Love your puppetry. I am working on a full size paper kestrel. I will send some pictures when it is more developed.